ca. 450 - 430 B.C. 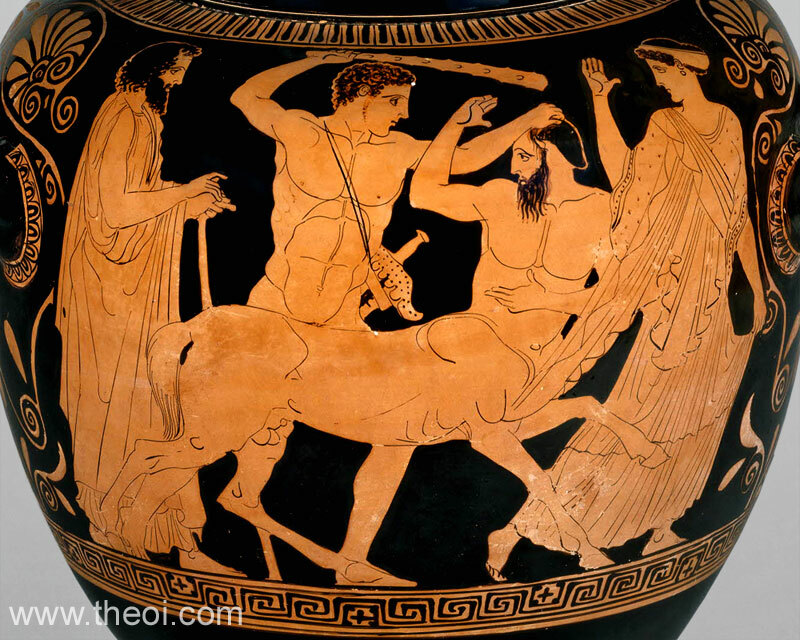 Heracles rescues Mnesimache from the centaur Eurytion. The hero brandishes a knotted club and grasps by the beast by the hair. He is naked except for the quiver and sheathed sword strapped to his side. The centaur is typical of its kind with the upper body of a man and the lower form of a horse. The princess Mnesimache flees to the right, gazing over her shoulder at the fight. Her father, King Dexamenus, stands on the left.